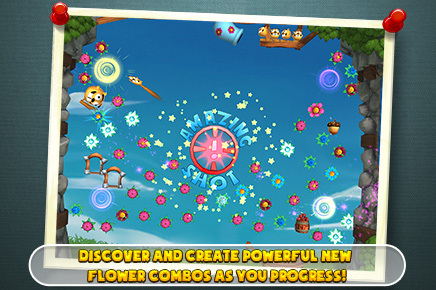 Shoot flowers to clear vibrant, colorful levels as you venture into the Flowerpop universe. 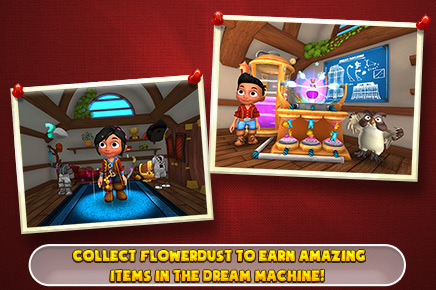 Achieve colorful combos and harvest Flowerdust to power the Dream Machine, a magical contraption that unlocks special powers, prizes and costumes. A Stunning, Lively World to Explore – Dive right into the game and see stunning levels packed with life! There’s so much to discover and experience in this beautifully designed game, where each level plays differently every time you attempt it. 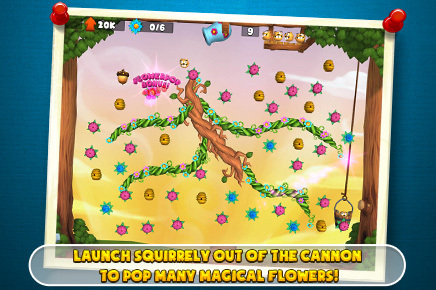 Prepare to be Amazed – Launch your pal Squirrely out of the magic cannon into a variety of beautiful flowers and other special items including beehives, explosive barrels and mystic portals! Everything is displayed in amazing 3D to immerse you in the Flowerpop universe. Combine and Win! – Hit acorns to discover and create powerful flower combos depending on the next item you hit. Want to clear the whole level in one shot? 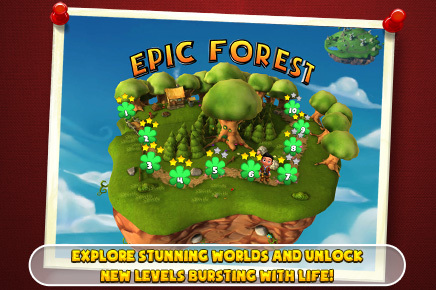 Hit the electric flower after the magic acorn and your wish is fulfilled as Squirrely turns into a giant wrecking ball! Dress to Impress – Discover tons of cool costumes to make your avatar look even more awesome. How about a badger onesie, beach gear for the summer weather, or even a suit of armor if you’re feeling feisty? Team Up With Friends – Take a selfie of your avatar in a cool new outfit to show your Facebook friends. Compete with pals to get the highest score on a level leaderboard, or let them help by sending you gifts and boosters! 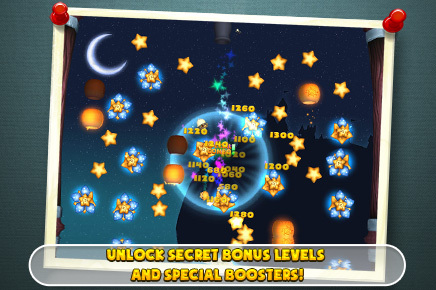 Secret Bonus Levels and Special Boosters – Achieve three stars in every level on an island and unlock a secret Starfall bonus level! Also win plenty of secret booster items in the Dream Machine such as extra shots or an invaluable longer aiming line! Special thanks to Daniel Johansson for the music, ‘Skogens djur’.